Wood Bon Chef Sandstone Glass Mirror, 30 x 30 inch -- 1 each. Bon Chefs upscale mirrors create the finest quality food presentation. Buffet Enhancements Food Display Centerpiece Mirror Tray - Round Rimmed, 14 inch -- 1 each. Buffet Enhancements Food Display Mirror Tray - Octagonal Rimmed, 24 inch -- 1 each. Buffet Enhancements Food Display Mirror Tray - Round Rimmed, 24 inch -- 1 each. Buffet Enhancements Food Display Mirror Tray - Oval Rimmed, 32 x 24 inch -- 1 each. Buffet Enhancements Food Display Mirror Tray - Rectangular Rimmed, 32 x 24 inch -- 1 each. Buffet Enhancements Food Display Mirror Tray - Round Rimmed, 32 inch -- 1 each. 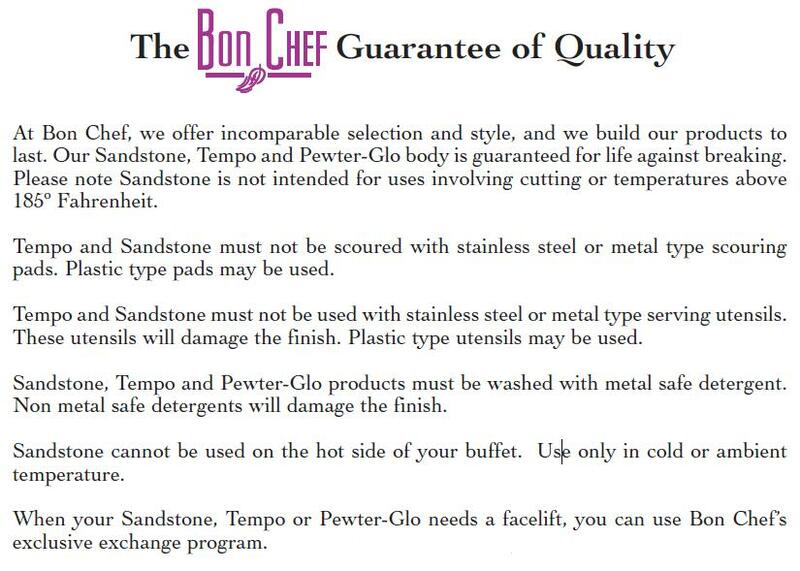 Bon Chef Sandstone Glass Mirror, 30 x 30 inch -- 1 each.